When you are in an elevator, there is certainly an emergency button in the elevator. If disaster strikes and we are in the elevator, the door cannot open, so we can sound an alarm by pressing the alarm button (emergency button), thereby rescuers will soon be directed to saving and helping people in the elevator. Life in the real world is full of distress so we do not realize it can threaten and endanger us all the time. 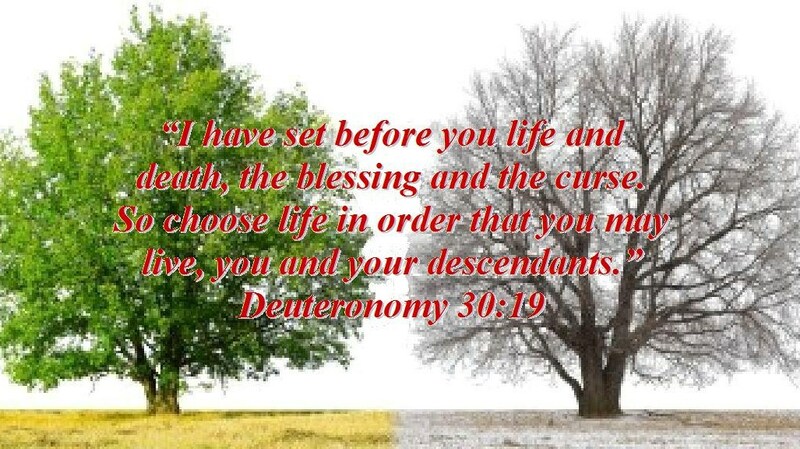 However, we have belonged to God and sealed by the blood of Christ, God has given us His Holy Spirit, in order we become sensitive to the voice of God and with God’s guidance will guide us through this life so that we are avoided and far from danger. To train our sensitivity to the voice of the Lord, He has also bestowed the Word of God that is visible for us to read, meditate, and believe, so that when we are in danger, distress, and difficulty, we are just “pressed the alarm button” (emergency button)of the God’s word then the word can bring God’s presence to help and save us. Never miss a day without reading and meditating on God’s word, because the word of God is a shield for our lives when we are in distress. If you are in danger or facing a dead-end, come to Jesus. 13 Now when they saw the boldness of Peter and John, and perceived that they were uneducated and untrained men, they marveled. And they realized that they had been with Jesus. 14 And seeing the man who had been healed standing with them, they could say nothing against it. 15 But when they had commanded them to go aside out of the council, they conferred among themselves, 16 saying, “What shall we do to these men? For, indeed, that a notable miracle has been done through them is evident to all who dwell in Jerusalem, and we cannot deny it. 17 But so that it spreads no further among the people, let us severely threaten them, that from now on they speak to no man in this name.” 18 So they called them and commanded them not to speak at all nor teach in the name of Jesus. 19 But Peter and John answered and said to them, “Whether it is right in the sight of God to listen to you more than to God, you judge. 20 For we cannot but speak the things which we have seen and heard.” 21 So when they had further threatened them, they let them go, finding no way of punishing them, because of the people, since they all glorified God for what had been done. 22 For the man was over forty years old on whom this miracle of healing had been performed. 10 Now those who placed their seal on the document were: Nehemiah the governor, the son of Hacaliah, and Zedekiah, 2 Seraiah, Azariah, Jeremiah, 3 Pashhur, Amariah, Malchijah, 4 Hattush, Shebaniah, Malluch, 5 Harim, Meremoth, Obadiah, 6 Daniel, Ginnethon, Baruch, 7 Meshullam, Abijah, Mijamin, 8 Maaziah, Bilgai, and Shemaiah. These were the priests. 9 The Levites: Jeshua the son of Azaniah, Binnui of the sons of Henadad, and Kadmiel. 10 Their brethren: Shebaniah, Hodijah, Kelita, Pelaiah, Hanan, 11 Micha, Rehob, Hashabiah, 12 Zaccur, Sherebiah, Shebaniah, 13 Hodijah, Bani, and Beninu. 14 The leaders of the people: Parosh, Pahath-Moab, Elam, Zattu, Bani, 15 Bunni, Azgad, Bebai, 16 Adonijah, Bigvai, Adin, 17 Ater, Hezekiah, Azzur, 18 Hodijah, Hashum, Bezai, 19 Hariph, Anathoth, Nebai, 20 Magpiash, Meshullam, Hezir, 21 Meshezabel, Zadok, Jaddua, 22 Pelatiah, Hanan, Anaiah, 23 Hoshea, Hananiah, Hasshub, 24 Hallohesh, Pilha, Shobek, 25 Rehum, Hashabnah, Maaseiah, 26 Ahijah, Hanan, Anan, 27 Malluch, Harim, and Baanah. 28 Now the rest of the people—the priests, the Levites, the gatekeepers, the singers, the Nethinim, and all those who had separated themselves from the peoples of the lands to the Law of God, their wives, their sons, and their daughters, everyone who had knowledge and understanding— 29 these joined with their brethren, their nobles, and entered into a curse and an oath to walk in God’s Law, which was given by Moses the servant of God, and to observe and do all the commandments of the Lord our Lord, and His ordinances and His statutes: 30 We would not give our daughters as wives to the peoples of the land, nor take their daughters for our sons; 31 if the peoples of the land brought wares or any grain to sell on the Sabbath day, we would not buy it from them on the Sabbath, or on a holy day; and we would forego the seventh year’s produce and the exacting of every debt. 32 Also we made ordinances for ourselves, to exact from ourselves yearly one-third of a shekel for the service of the house of our God: 33 for the showbread, for the regular grain offering, for the regular burnt offering of the Sabbaths, the New Moons, and the set feasts; for the holy things, for the sin offerings to make atonement for Israel, and all the work of the house of our God. 34 We cast lots among the priests, the Levites, and the people, for bringing the wood offering into the house of our God, according to our fathers’ houses, at the appointed times year by year, to burn on the altar of the Lord our God as it is written in the Law. 35 And we made ordinances to bring the first fruits of our ground and the first fruits of all fruit of all trees, year by year, to the house of the Lord; 36 to bring the firstborn of our sons and our cattle, as it is written in the Law, and the firstborn of our herds and our flocks, to the house of our God, to the priests who minister in the house of our God; 37 to bring the first fruits of our dough, our offerings, the fruit from all kinds of trees, the new wine and oil, to the priests, to the storerooms of the house of our God; and to bring the tithes of our land to the Levites, for the Levites should receive the tithes in all our farming communities. 38 And the priest, the descendant of Aaron, shall be with the Levites when the Levites receive tithes; and the Levites shall bring up a tenth of the tithes to the house of our God, to the rooms of the storehouse. 39 For the children of Israel and the children of Levi shall bring the offering of the grain, of the new wine and the oil, to the storerooms where the articles of the sanctuary are, where the priests who minister and the gatekeepers and the singers are; and we will not neglect the house of our God. 11 Now the leaders of the people dwelt at Jerusalem; the rest of the people cast lots to bring one out of ten to dwell in Jerusalem, the holy city, and nine-tenths were to dwell in other cities. 2 And the people blessed all the men who willingly offered themselves to dwell at Jerusalem. 3 These are the heads of the province who dwelt in Jerusalem. (But in the cities of Judah everyone dwelt in his own possession in their cities—Israelites, priests, Levites, Nethinim, and descendants of Solomon’s servants.) 4 Also in Jerusalem dwelt some of the children of Judah and of the children of Benjamin. The children of Judah: Athaiah the son of Uzziah, the son of Zechariah, the son of Amariah, the son of Shephatiah, the son of Mahalalel, of the children of Perez; 5 and Maaseiah the son of Baruch, the son of Col-Hozeh, the son of Hazaiah, the son of Adaiah, the son of Joiarib, the son of Zechariah, the son of Shiloni. 6 All the sons of Perez who dwelt at Jerusalem were four hundred and sixty-eight valiant men. 7 And these are the sons of Benjamin: Sallu the son of Meshullam, the son of Joed, the son of Pedaiah, the son of Kolaiah, the son of Maaseiah, the son of Ithiel, the son of Jeshaiah; 8 and after him Gabbai and Sallai, nine hundred and twenty-eight. 9 Joel the son of Zichri was their overseer, and Judah the son of Senuah was second over the city. 10 Of the priests: Jedaiah the son of Joiarib, and Jachin; 11 Seraiah the son of Hilkiah, the son of Meshullam, the son of Zadok, the son of Meraioth, the son of Ahitub, was the leader of the house of God. 12 Their brethren who did the work of the house were eight hundred and twenty-two; and Adaiah the son of Jeroham, the son of Pelaliah, the son of Amzi, the son of Zechariah, the son of Pashhur, the son of Malchijah, 13 and his brethren, heads of the fathers’ houses, were two hundred and forty-two; and Amashai the son of Azarel, the son of Ahzai, the son of Meshillemoth, the son of Immer, 14 and their brethren, mighty men of valor, were one hundred and twenty-eight. Their overseer was Zabdiel the son of one of the great men. 15 Also of the Levites: Shemaiah the son of Hasshub, the son of Azrikam, the son of Hashabiah, the son of Bunni; 16 Shabbethai and Jozabad, of the heads of the Levites, had the oversight of the business outside of the house of God; 17 Mattaniah the son of Micha, the son of Zabdi, the son of Asaph, the leader who began the thanksgiving with prayer; Bakbukiah, the second among his brethren; and Abda the son of Shammua, the son of Galal, the son of Jeduthun. 18 All the Levites in the holy city were two hundred and eighty-four. 19 Moreover the gatekeepers, Akkub, Talmon, and their brethren who kept the gates, were one hundred and seventy-two. 20 And the rest of Israel, of the priests and Levites, were in all the cities of Judah, everyone in his inheritance. 21 But the Nethinim dwelt in Ophel. And Ziha and Gishpa were over the Nethinim. 22 Also the overseer of the Levites at Jerusalem was Uzzi the son of Bani, the son of Hashabiah, the son of Mattaniah, the son of Micha, of the sons of Asaph, the singers in charge of the service of the house of God. 23 For it was the king’s command concerning them that a certain portion should be for the singers, a quota day by day. 24 Pethahiah the son of Meshezabel, of the children of Zerah the son of Judah, was the king’s deputy in all matters concerning the people. 25 And as for the villages with their fields, some of the children of Judah dwelt in Kirjath Arba and its villages, Dibon and its villages, Jekabzeel and its villages; 26 in Jeshua, Moladah, Beth Pelet, 27 Hazar Shual, and Beersheba and its villages; 28 in Ziklag and Meconah and its villages; 29 in En Rimmon, Zorah, Jarmuth, 30 Zanoah, Adullam, and their villages; in Lachish and its fields; in Azekah and its villages. They dwelt from Beersheba to the Valley of Hinnom. 31 Also the children of Benjamin from Geba dwelt in Michmash, Aija, and Bethel, and their villages; 32 in Anathoth, Nob, Ananiah; 33 in Hazor, Ramah, Gittaim; 34 in Hadid, Zeboim, Neballat; 35 in Lod, Ono, and the Valley of Craftsmen. 36 Some of the Judean divisions of Levites were in Benjamin. 12 Now these are the priests and the Levites who came up with Zerubbabel the son of Shealtiel, and Jeshua: Seraiah, Jeremiah, Ezra, 2 Amariah, Malluch, Hattush, 3 Shechaniah, Rehum, Meremoth, 4 Iddo, Ginnethoi, Abijah, 5 Mijamin, Maadiah, Bilgah, 6 Shemaiah, Joiarib, Jedaiah, 7 Sallu, Amok, Hilkiah,and Jedaiah. These were the heads of the priests and their brethren in the days of Jeshua. 8 Moreover the Levites were Jeshua, Binnui, Kadmiel, Sherebiah, Judah, and Mattaniah who led the thanksgiving psalms, he and his brethren. 9 Also Bakbukiah and Unni, their brethren, stood across from them in their duties. 10 Jeshua begot Joiakim, Joiakim begot Eliashib, Eliashib begot Joiada, 11 Joiada begot Jonathan, and Jonathan begot Jaddua. 12 Now in the days of Joiakim, the priests, the heads of the fathers’ houses were: of Seraiah, Meraiah; of Jeremiah, Hananiah; 13 of Ezra, Meshullam; of Amariah, Jehohanan; 14 of Melichu, Jonathan; of Shebaniah, Joseph; 15 of Harim, Adna; of Meraioth, Helkai; 16 of Iddo, Zechariah; of Ginnethon, Meshullam; 17 of Abijah, Zichri; the son of Minjamin; of Moadiah, Piltai; 18 of Bilgah, Shammua; of Shemaiah, Jehonathan; 19 of Joiarib, Mattenai; of Jedaiah, Uzzi; 20 of Sallai, Kallai; of Amok, Eber; 21 of Hilkiah, Hashabiah; and of Jedaiah, Nethanel. 22 During the reign of Darius the Persian, a record was also kept of the Levites and priests who had been heads of their fathers’ houses in the days of Eliashib, Joiada, Johanan, and Jaddua. 23 The sons of Levi, the heads of the fathers’houses until the days of Johanan the son of Eliashib, were written in the book of the chronicles. 24 And the heads of the Levites were Hashabiah, Sherebiah, and Jeshua the son of Kadmiel, with their brothers across from them, to praise and give thanks, group alternating with group, according to the command of David the man of God. 25 Mattaniah, Bakbukiah, Obadiah, Meshullam, Talmon, and Akkub were gatekeepers keeping the watch at the storerooms of the gates. 26 These lived in the days of Joiakim the son of Jeshua, the son of Jozadak, and in the days of Nehemiah the governor, and of Ezra the priest, the scribe. 27 Now at the dedication of the wall of Jerusalem they sought out the Levites in all their places, to bring them to Jerusalem to celebrate the dedication with gladness, both with thanksgivings and singing, with cymbals and stringed instruments and harps. 28 And the sons of the singers gathered together from the countryside around Jerusalem, from the villages of the Netophathites, 29 from the house of Gilgal, and from the fields of Geba and Azmaveth; for the singers had built themselves villages all around Jerusalem. 30 Then the priests and Levites purified themselves, and purified the people, the gates, and the wall. 31 So I brought the leaders of Judah up on the wall, and appointed two large thanksgiving choirs. One went to the right hand on the wall toward the Refuse Gate. 32 After them went Hoshaiah and half of the leaders of Judah, 33 and Azariah, Ezra, Meshullam, 34 Judah, Benjamin, Shemaiah, Jeremiah, 35 and some of the priests’ sons with trumpets—Zechariah the son of Jonathan, the son of Shemaiah, the son of Mattaniah, the son of Michaiah, the son of Zaccur, the son of Asaph, 36 and his brethren, Shemaiah, Azarel, Milalai, Gilalai, Maai, Nethanel, Judah, and Hanani, with the musical instruments of David the man of God. Ezra the scribe went before them. 37 By the Fountain Gate, in front of them, they went up the stairs of the City of David, on the stairway of the wall, beyond the house of David, as far as the Water Gate eastward. 38 The other thanksgiving choir went the opposite way, and I was behind them with half of the people on the wall, going past the Tower of the Ovens as far as the Broad Wall, 39 and above the Gate of Ephraim, above the Old Gate, above the Fish Gate, the Tower of Hananel, the Tower of the Hundred, as far as the Sheep Gate; and they stopped by the Gate of the Prison. 40 So the two thanksgiving choirs stood in the house of God, likewise I and the half of the rulers with me; 41 and the priests, Eliakim, Maaseiah, Minjamin, Michaiah, Elioenai, Zechariah, and Hananiah, with trumpets; 42 also Maaseiah, Shemaiah, Eleazar, Uzzi, Jehohanan, Malchijah, Elam, and Ezer. The singers sang loudly with Jezrahiah the director. 43 Also that day they offered great sacrifices, and rejoiced, for God had made them rejoice with great joy; the women and the children also rejoiced, so that the joy of Jerusalem was heard afar off. 44 And at the same time some were appointed over the rooms of the storehouse for the offerings, the first fruits, and the tithes, to gather into them from the fields of the cities the portions specified by the Law for the priests and Levites; for Judah rejoiced over the priests and Levites who ministered. 45 Both the singers and the gatekeepers kept the charge of their God and the charge of the purification, according to the command of David and Solomon his son. 46 For in the days of David and Asaph of old there were chiefs of the singers, and songs of praise and thanksgiving to God. 47 In the days of Zerubbabel and in the days of Nehemiah all Israel gave the portions for the singers and the gatekeepers, a portion for each day. They also consecrated holy things for the Levites, and the Levites consecrated them for the children of Aaron. Your first interaction with your child about a situation should be verbal. A child should never be blindsided by the discipline you hand down to her. It should always be preceded by a clear warning, both for her sake and for yours. You want to know whether your child deliberately crossed a line or made an honest mistake. A clear warning will help her steer clear of danger and will help you know you’re correcting intentional disobedience. That’s why it would be appropriate to issue a warning to Johnny the first time you see him walking out of the neighbor boy’s house. 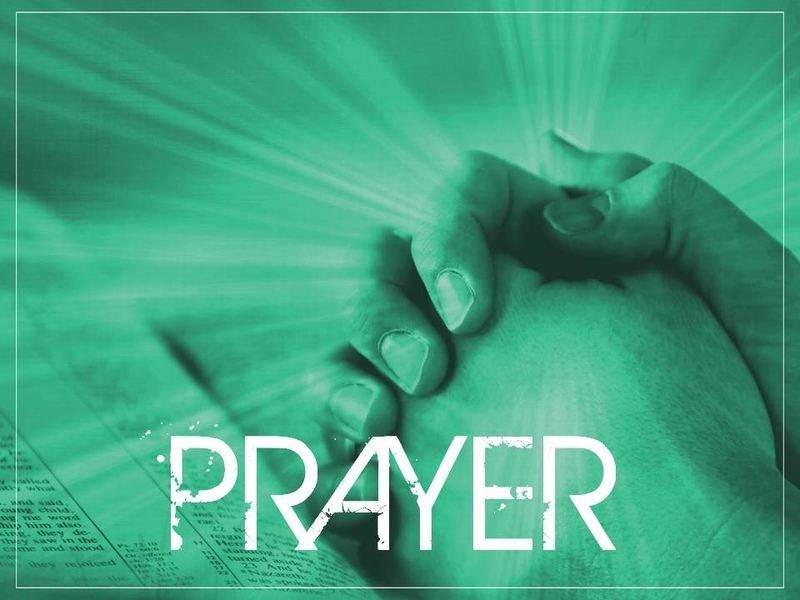 You recall from Ephesians 6:17-18 that Paul said, “Take the sword of the Spirit, which is the word of God … praying.” Prayer is the power that wields the weapon of the word. Last week we pondered the truth that the weapon serves the wielding power. Nevertheless—and this is the magnificence of prayer—God has put his word into the hand of prayer. He himself remains the source and goal of all things, but he has chosen to make prayer the power that wields the weapon of his word. He himself remains the source to that power, but he grants to use the privilege and joy of being the instrument of his power in prayer. I believe all of you somewhere within your heart want to be the instruments of God’s power, and therefore, even if you don’t feel like it now, there is buried somewhere in your subconscious the longing to be a man or a woman of fervent and effective prayer. The reason I am confident of this is that every one of you is created in God’s image. Each one of you was created to be a conscious mirror of God’s image. You were created to consciously reflect his glory like a mirror of God’s image. Before sin entered the world, I think Adam and Eve had an overwhelming longing to be used by God to image-forth his power and wisdom and love in the world. They wanted to be mirrors of his glory. And that longing is deep within every person today, but it has been distorted by sin. In a sense, the distortion is only slight; but it is the difference between day and night. It is the difference between wanting to reflect his face and wanting to take his place. The glory of a mirror is to put its face to the light and to let that light shine. This is what mirrors are made for. This is the deep longing of the heart. But then sin entered the world and its first manifestation was Adam and Eve’s discontent with being mirrors. They began to want to be their own source of light. They began to feel that mirrors are just glass with a thin black coating of tin and mercury. They suddenly became conscious of the fact that to be a good mirror you have to turn whichever way the light moves. You can’t be your own master. So they chose to be their own source of light; they turned their brilliant mirror-faces away from God, and now all they can do is block his light and cast a shadow across the world. But I want you to see that the longing of Adam and Eve to be the light is a distortion of a legitimate longing, namely, to reflect the light. The Bible teaches that everyone since the fall of Adam and Eve is born with these same distorted longings. We come into the world longing to be God. We want the world to revolve around our interests. We want to decide for ourselves which way to turn our faces. We want people to esteem us and admire us and compliment us. We don’t like the thought of being a mirror which has no beauty except in the thing it reflects. We don’t like the idea of having to turn our face wherever the light wants to go. We want to be our own light. We want to be God. This comes with our fallen humanity. It is the very essence of sin. If you are honest, you will admit that you have felt this way. But this universal experience of sin is Satan’s distortion of something wonderful. And the wonderful thing is the pure and righteous longing to be used by God to reflect his glory in the world. Concealed deep beneath our pride and our craving for esteem and our love of power and influence is a good thing that has been distorted, namely, the longing to be a mirror of God. To be a mirror of God is the highest honor to which a creature can aspire. And the most ludicrous sight in the world is a created mirror turning away from the light of God and then trying on its own to make a little spark to brighten the shadow it casts on the world. Now you might have lost track of what this has to do with prayer, so let me try to retrace our steps. What I have been trying to show is that each of you, if not consciously, at least subconsciously wants to be a person of fervent and powerful prayer. That is, you want to have a significant place in the purposes of God. You want to be his instrument in accomplishing something worthwhile. My argument for this has been that behind the universal desire to be God there is a distorted longing to be a mirror of God – to have the significance and the importance of reflecting the glory of God. But my unspoken assumption so far is that praying is the way we mirror God. Surely that is easy to see. A mirror faces away from itself to its source of light so that it might have some use in the world, and prayer faces away from itself toward God so that it might be of some use in the world. A mirror is designed to receive light and channel it for the good of others, and prayer is designed to receive grace and channel it for the good of others. The value of a mirror is not in itself, but in its potential to let something else be seen. And the value of prayer is not in itself, but in its potential to let the power and beauty of God be seen. A mirror is utterly dependent on the source of light from outside itself, and prayer is the posture of the childlike, utterly dependent on the resources and kindness of the heavenly Father. So praying is the way we mirror God. And if I am right that each of you, in the image of God, has a deep desire to be a mirror of God, then it is also true that, even if you don’t feel like it now, there is buried somewhere in your subconscious the longing to be a man or a woman of fervent and effective prayer. My prayer is that God will use this message to bring that desire to the surface and make it insatiable all through 1985. This text gives tremendous significance to prayer in God’s victorious purposes. We could state the doctrine like this: Through prayer the word of the Lord overcomes obstacles and reaches a glorious victory. Now just think of it. Almighty God has spoken. 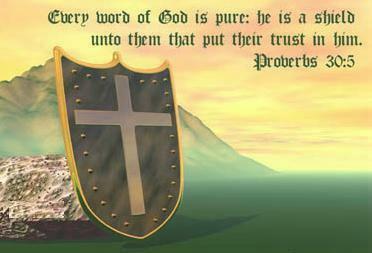 If he is God, it is sure that his word will accomplish all his purposes. God’s truth must win the race of words, but the text says, “Pray that the word will be victorious!” I take this to mean that God will indeed cause his word to be glorified, but he does not intend to win the victory without prayer. Or to put it in the most amazing way, he does not intend to win without giving you a part in the victory. This is simply amazing. God’s whole purpose of creation and redemption hangs on the success of his word. Jesus said that the gospel must first be preached to all the peoples (Mark 13:10) before the end will come. In the end there will be people in the kingdom from every tongue and tribe and nation (Revelation 5:9). The word must run in triumph to those peoples if the purpose of God is to be accomplished. If his word fails, if there are insurmountable obstacles, then the new heaven and new earth abort. Therefore, since God does not intend to win the race of words without the prayers of his people, the very purpose of God in creation and redemption hangs on your prayers. If you’re hungry for significance—for ultimate, eternal significance, not a little nationwide 50-year significance—then devote yourself to prayer for the word of God to run and be glorified, because through prayer the word of the Lord will be victorious and you with it. We count people great in proportion to whether they have produced anything great, so some people long to write a great novel, and some long to build a business that will rival IBM or Mobil Oil, and some long to be the coach of a Super Bowl champion team, and some dream of commanding a brilliant battalion in victory, and some dream of discovering a new form of energy. In about two seconds, all of them and all of us are going to gather before the judgment seat of God. James says that your life here is like a mist that appears for a little while and then is gone. Earthly life is like the breaths you saw in the air as you walked in this morning—about two seconds. So the only greatness worth pursuing is greatness that is going to last in the age to come. Nobody gets excited about two seconds of greatness. Would there be any takers if God offered to let you feel the greatness of being chief executive officer of IBM for two seconds in exchange for your life? So we are all there before the judgment seat of all. The novel is gone, IBM is gone, the Super Bowl is gone, the battalion is gone, and the new form of energy is a first grade science project in heaven. But off to the side of this group of erstwhile greats is John Doe Christian who, in his life, had spent 30 minutes a day on his knees praying that the word of the Lord would run and be glorified. For those of us who long for eternal significance and hunger after true greatness, 2 Thessalonians 3:1 is a very exciting text. God has appointed prayer as the means by which we have a role in his saving purposes, which is greater than any greatness the earth has to offer. You just have to see things the way God does. God will be duly glorified when the knowledge of his glory fills the earth like the waters fill the sea. 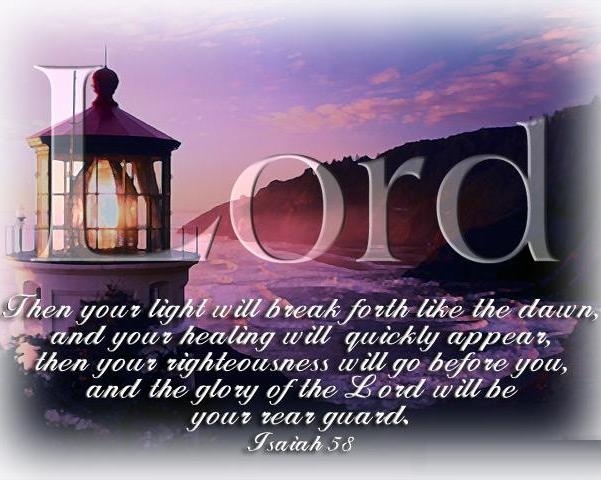 And the earth will be filled with the knowledge of his glory when the word of the Lord runs and is glorified. And the word of the Lord runs and is glorified through prayer. Brothers and sisters, this is a high calling. Believe it or not, this is the kind of greatness and the kind of significance you are longing for—to be an instrument in the hands of God to cause the word of the Lord to speed on in triumph! We stand at the end of the week in prayer and at the beginning of 1985. We have begun it in the way we should. The ministry of the word will run and be glorified at Bethlehem Baptist Church this year to the degree that we remain faithful to God’s word and to the degree that we pray for its victory. Everything of eternal significance happens by the word and prayer. It implies praying that the word of God will win converts to Christ in our midst. It implies praying that the word of God will conquer sinful habits in our lives. It implies praying that the word of God will rise up and send out from among us ministers of the word at home and abroad. It implies praying that the teachers of the church will be kept from the evil one and will hold to the truth and be filled with spiritual power to proclaim and explain the word of God. But all I am asking is whether you will make the promise. God helping me, I will pray each day in 1985 this simple prayer: Lord, cause your word to run and be glorified in the ministries of our church and in the missions we support. Before I ask you to make that choice, let me close with an illustration of the kind of discipline and perseverance in prayer that might inspire you. 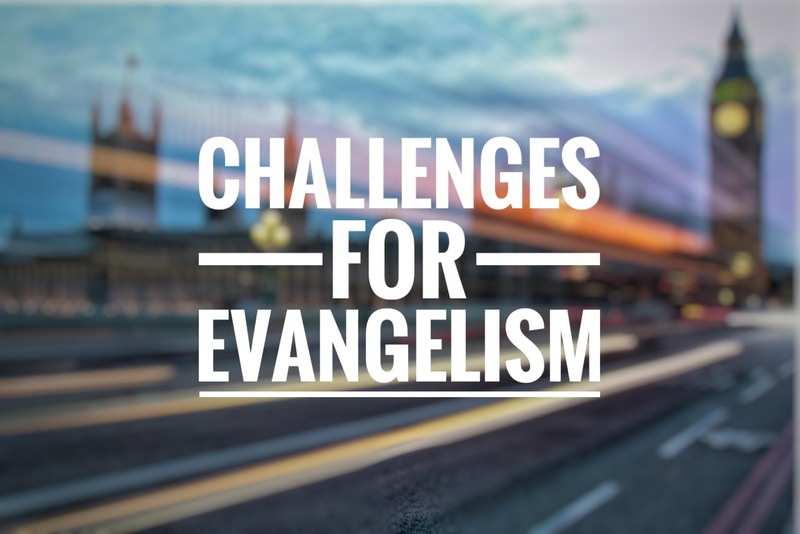 David Howard, whose son teaches at our seminary and who is general director of The World Evangelical Fellowship, told recently in the Evangelical Missions Quarterly about a great movement of prayer that happened at Wheaton College when he and Jim Elliot were there in 1946. Jim Elliot—the missionary killed by the Auca Indians in Ecuador—organized a campus-wide round-the-clock prayer cycle so that a student was praying for a missions movement during every 15-minute slot. One of the students named Art Wiens was moved during that week to pray systematically through the college directory, praying for 10 students by name every day. He followed this faithfully through his college years. Dave was so astounded he asked if he could see the prayer list. The next day he brought it to him—a battered old notebook he had started in college days with the names of hundreds of their classmates and fellow students. For more than 2 months I have been looking for a job. I sent in my resume for full time jobs in engineering field as well as in the public sector but there was no response from any company. In the meantime, I was advised to look for a temporary job to begin with. So I applied for temporary jobs through job portal and through recruitment agencies and even went for some interviews but still there seem to be no progress in getting a job. Two weeks ago in the evening after sending resumes to companies and recruitment agencies, I was wondering if I would get a job by the end of this month (Oct). It was difficult for me to believe that I would get a job soon in the face of the lack of responses. However God reminded me through the sermon on Sunday to trust and to rely in Him. I asked God for forgiveness and placed my hope in Him. Last Friday, I went for a job interview with a recruitment agency in the morning. I was offered 2 jobs but I chose the one where I do not have to work on weekends. I was hoping to get employed but the recruit consultant merely said that he would forward my resume to the company and that the company would contact me in a week or two if I am shortlisted. Later in the afternoon, I went for the interview and I was offered a job in a bank that very day. I thank God for the job. I thank God for His mercy and grace upon me and correcting me to focus onto Jesus and His purpose for me. I also thank God for all my brothers and sisters in Christ who have been praying for me. 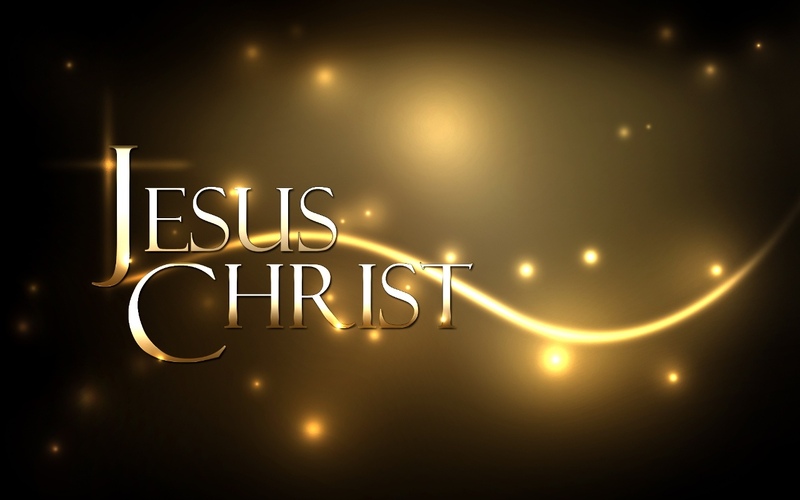 All glory, honour and praise are to the Lord Jesus Christ forever and ever! Amen.